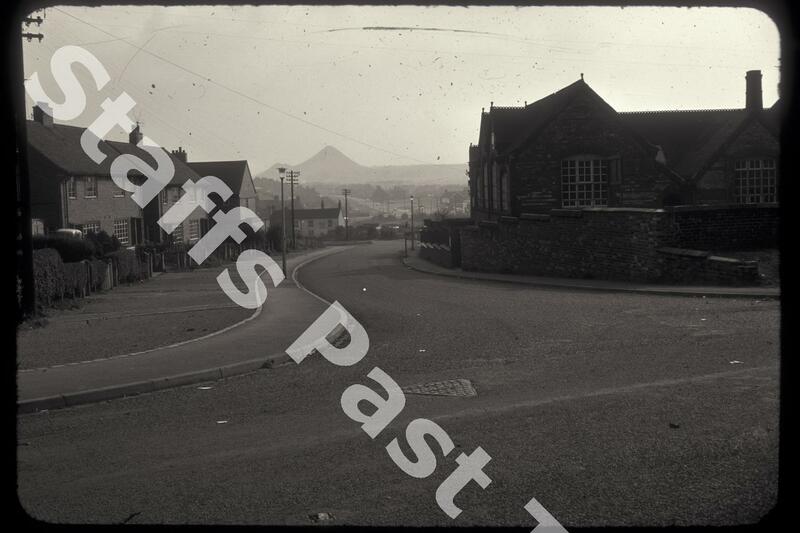 Description:This photograph was taken from the corner of Ruxley Road looking southwards along Malthouse Road. On the corner is Malthouse County Infants' School and Library, opened in 1877 but now demolished. In the distance is the spoil tip of Mossfield Colliery with Adderley Green Colliery tip half hidden behind. This top part of Malthouse Road was formerly known as Ubberley Road, which continues on south towards Brookhouse Green and the spoilt tips. 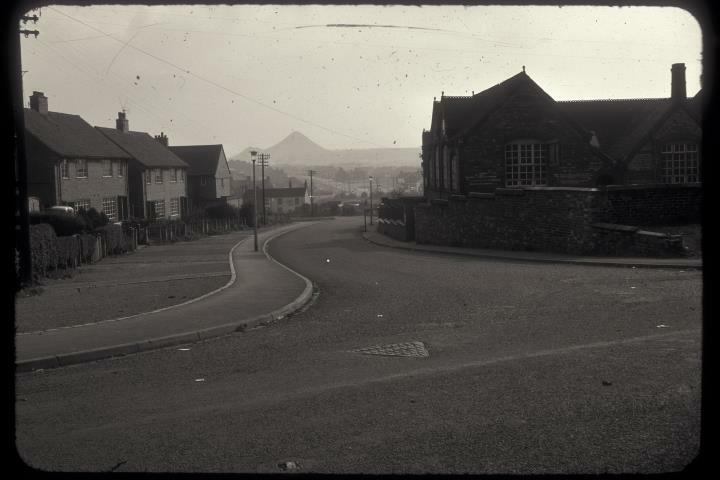 The houses on this part of Malthouse Road date from after 1945.